Meetings are on the 4th Thursday of each month from 9am-11am. NEW LOCATION: Timberland Regional Library Administrative Service Center, 415 Tumwater Blvd SW, Tumwater, WA 98501. We have an informational/educational program focus at the beginning of the meeting. PROGRAM FOCUS 2017: Work IN Progress! Sept 27, 2018- Meeting at SSP2P, 2108 Caton Way SW, Olympia. Topic: Where are we now? Program focus for the upcoming year to be discussed. Click for Newsletter! Oct 13, 2018- Special Event: Community Baby Shower! Click for Flyer! Nov 3rd, 2018- Fun Event in Tumwater! Meeting Minutes available to members here, or by request. Please check our calendar and this page for upcoming member events. If you would like your organization’s upcoming event listed here, please contact us. Story Time! 10-11 am. Stories, songs, rhymes, movement, play and free books for preschoolers! Join the activities the First and Third MONDAY of each month at the Rochester Community Library next to ROOF. June 5th, June 19th, July 17th, July 31, August 14th. Tiempo de Cuentos! 10-11am. Canciones, rimas, cuentos, movimientos, juegos y libros gratis para niños edad prescolar! Venga a las actividades el Primer y Tercer LUNES de cada mes en la biblioteca de la comunidad en Rochester a un lado de ROOF. Junio 5, Junio 19, Julio 17, Julio 31, Agosto 14. We will also be having Essentials for Early Literacy, for families at the Rochester Community Library this summer on the 2nd and 4th Monday of every month from 10-11am. 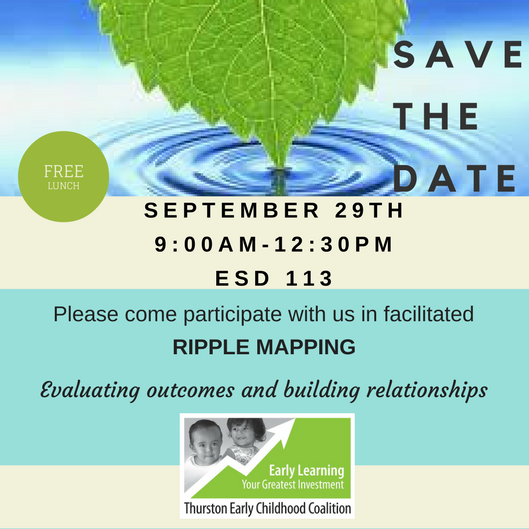 We will be partnering with TRL to provide workshops for parents and caregivers. There will be childcare provided and the children will be doing activities and crafts. The workshops are June 26th, July 10th, July 24th, August 7th and August 26th. We will be providing FREE books!! GREAT resource about activities in Greater Olympia/Thurston County. Includes information about family friendly activities & community events, contact information for resources, things to do and see, ideas to keep the children engaged including recipes, helpful websites, nutrition information, and SO MUCH MORE! Available en Español and English. Join us for Recess Monkey, a free family concert this Saturday, January 28 from 10-11 am followed by activities at 11-12 pm! Free parking on location at South Puget Sound Community College, Lacey campus: 4220 6th Ave SE, Lacey, WA 98503. For more information call 754-7629.